Fall semester is well under way and right now more than 11,000 students are hard at work in LCCC classes. These students are bravely taking steps toward improving their quality of life, providing for their families, and pursuing their dreams. And judging by the excitement surrounding our faculty and staff this semester, our campus community is ready and willing to help all of our students succeed. There has been a lot of buzz lately within the higher education world surrounding the phrase “student success.” At Lorain County Community College, we have identified student success as our top priority – but many of you may be asking, what does this really mean? We have learned that for our diverse student body, the term “success” can evolve during the course of a student’s life. At LCCC, we personalize our approach to each student – helping them identify their goals and define what success means to them. There is a lot of behind the scenes work going on daily to ensure our students’ success through innovations in teaching, redesigning advising, and enhancing student services and career planning. Our recently unveiled nine academic and career pathways offer a much more streamlined and personalized approach for students that connects them to their own personal advisor from day one. But the real magic happens when our faculty and staff connect to our students on a personal level. Take Kenneth Glynn for example. Ken spent 10 years in the United States Army and 19 years working in the steel industry before starting his higher education journey through LCCC’s SAIL (Students Accelerating in Learning) program. At first, the Elyria resident wasn’t sure about college, but with the help of SAIL assistance and his advisors’ and instructors’ support, he is well on his way to achieving his goals. 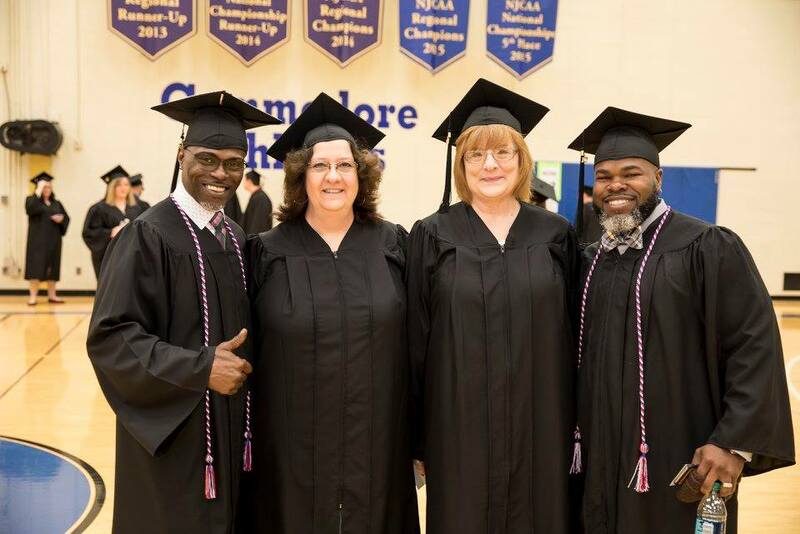 Kenneth Glynn, left, poses at graduation with classmates Ellen Rebok, Rona Bryner and Terrence Pride who were also laid off from the steel mill. 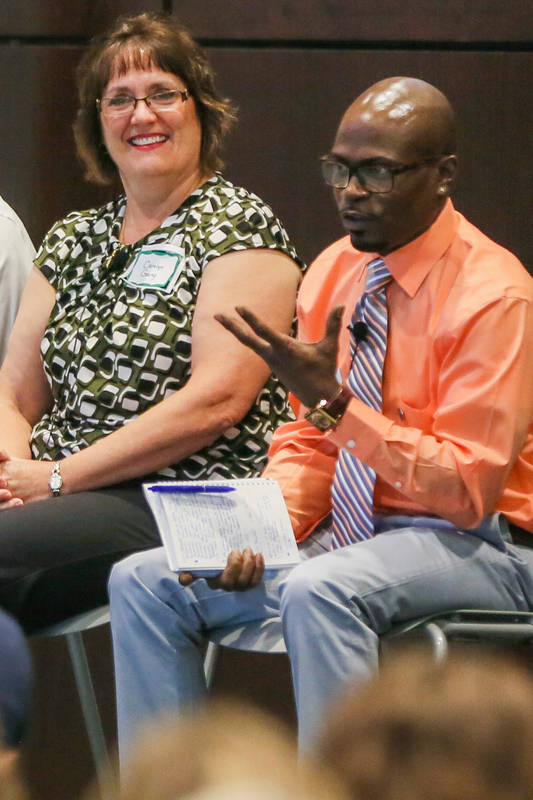 Ken addressed a group of LCCC faculty and staff in August where he shared that he and his classmates, including former co-workers from a steel plant who were laid off at the same time as him, simply would not have made it through math without their LCCC instructor, Carolyn Gang. Carolyn went above and beyond to assist them – even staying after class and tutoring on Saturdays to ensure they understood the material. Carolyn and Ken discuss the pathways and connections that helped Ken succeed at LCCC. Although he was unsure of himself at the beginning of his studies, Ken said he gained more confidence each semester. He attributes his success to his “LCCC angels” including his advisor, Ursula Delahunty. Ken graduated in May 2017 with his associate degree in business administration and is continuing his education through LCCC’s University Partnership with Cleveland State University to earn a bachelor of arts in organizational leadership. He is the first person in his family to earn a college degree. I am so proud of Ken’s hard work, as well as our faculty and staff who rallied around him. 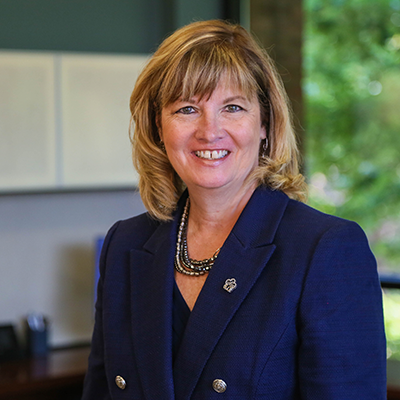 These are the stories that truly represent the heart of who we are as an institution and why I am so honored to be serving as president of this great community college.